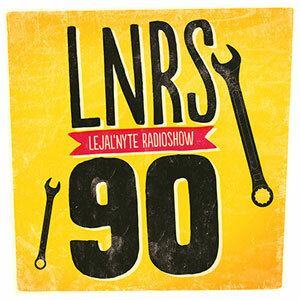 Lejal’Nyte radioshow LNRS090 was live on air @ http://www.sub.fm 02.02.2013 @ 9AM UK time @ 11AM EE time. Best of music from Estonia in 2012 according to the taste of Lejal’Nyte mainman Gee. Fresh music from artists like OYT, Music For Your Plants, Kosmofon, Lest Diet, Leiner, Rajaleidja (Joel Tammik), Bisweed, Jeffy Diamond, L-OW, Gee, Superskankers, Suur Papa, Andy Malex 2.0, Kalimist, Grässhopas & Juke FX, Out-Or, Tiit Kikas, Argo Vals and others. This entry was posted in radio and tagged ago niglas, ambient, andy malex, argo vals, bass, beaming light, bisweed, breakbeat, breaks, broken beat, bruk, champagne, club, def räädu, disco, disgu!se, dubstep, eesti pops, emerald city, experimental, footrap, footwork, future garage, garage, gee, glitch, grässhopas, grime, heartfelt, hiphop, house, jazz, jeffy diamond, juke, juke fx, kalimist, keshava, kgb, killa p, l-ow, leiner, lejal genes, lejal globe, lejal'nyte, lest diet, marijus aleksa, melkker, mikk rb, music for your plants, out-or, oyt, paradise lost, processed, profile, quarah, rajaleidja, rave, sander mölder, self evident, sofia rubina, stm, sub.fm, superskankers, suur papa, techno, tiit kikas, wecan. Bookmark the permalink.